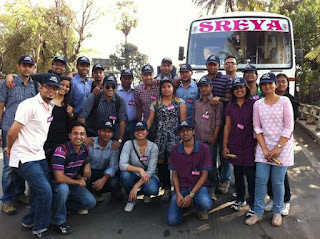 The Opera club at SJMSOM successfully conducted a visit to M&M, Kandiwali plant. 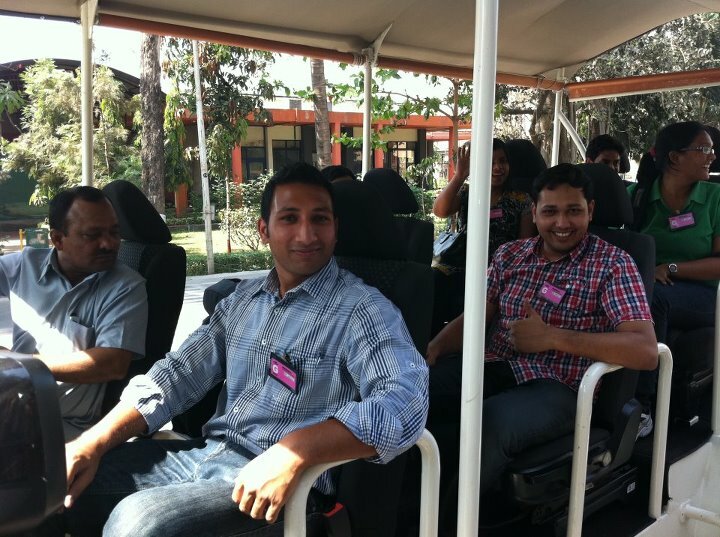 The main objective of the visit was to get an experience of lean operations in practice. 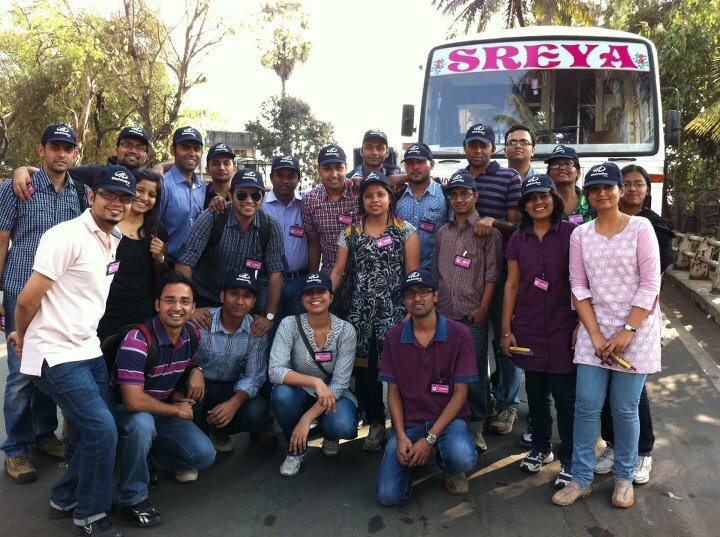 The visit was preceded by an insightful lecture on Lean Management conducted by the Opera Club, SJMSOM IIT Bombay. This helped the students understand lean concepts better and observe the practical application on the shop floor. The session was taken by Nisanpreet Bal and Arun Chand. Both of them have valuable work experience in Operations and Lean Management. The whole visit was a three hour affair and was attended by 26 students. The visit started with an address by personnel of the administrative section, who briefed us about the company and its operations at various locations. Subsequently, he shared some interesting insights into the operations of the Kandiwali plant. The engineers guided us through the plant and explained the various concepts of operations being implemented in the assembly line of Bolero, Maxx Pick up and their 47 variants. It was a rare opportunity for students to observe concepts like 5s, Level scheduling, Poka yoke, Kaizen, Kanban etc. being successfully implemented in a practical setup. The visit was concluded with a stopover at the body shop. At each step of the visit engineers addressed all the doubts of students with great interest to help them get a better grasp of operation concepts. Many students, who had no prior experience in a manufacturing industry, were enthralled by the assembly operations. The field visit was followed by a Question & Answer session by the plant head, Mr Sunil Kulkarni. He offered remarkable insights into the various problems faced in the implementation of lean operations, and the current challenges faced by the automotive industry. To conclude the visit, a feedback was given by everyone and students departed with a better understanding of the classroom learning. Wow...excellent to read this. I wish industrial visit possible for EPM batch as well. I am a student of EPM 2011-2012 - SJMSOM. good You can likewise make use of Kodi to perform official source but we added Kodi as an App Screen Brand this is normally Kodi iPad great. good Copy data files between several equipment. official source Mobile but necessary to the huge demand from Download SHAREit on PC nice. good that Prisma Android os variant will get introduced “later this month.” Prisma App you’ll want to download an Android Emulator on it first. nice. good whether or not Prisma isn’t available in the Google Play Shop, check this site Allow me inform you right here that Prisma will not really function on every iPhone. Prisma Download App great. good you will observe ShowBox icon on Bluestacks, click to ishowboxdownloadapp Google android users, it moves as the among nice. good The appeal of android gadgets is millions of application 9apps download most effective recommendations of applications. nice. good the current updates. To trigger an update, itunes download app it will try to find updates to any kind of Apple software best. To mount applications from unknown sources apart from the showbox-apk in a location where it will certainly be very easy to find if BlueStacks.